This year was the third annual TEDxPerth event. We moved to a new venue at the Perth Concert Hall, which was almost triple the capacity of last year with 1700, making TEDxPerth the second largest TEDx event in Australia, behind Sydney! I assumed my role as the Food Curator again making sure everyone was fed throughout the day – liaising with the in-house caterer to plan the menu, making sure all dietary requirements were met and working out the logistics for the day. 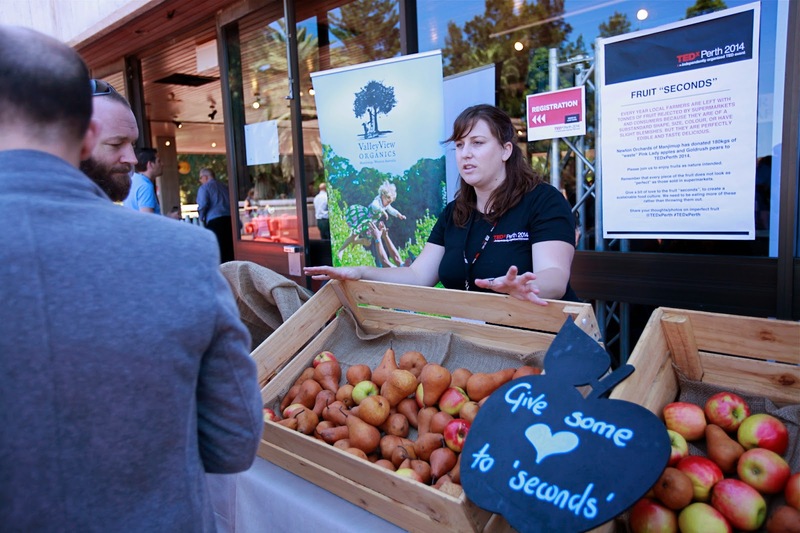 This year I also spread my own idea by providing fruit “seconds” to attendees donated by Newton Orchards of Manjimup to highlight the issue of food waste. Every year local farmers are left with tonnes of fruit, rejected by supermarkets and consumers for their “substandard” appearance or size. 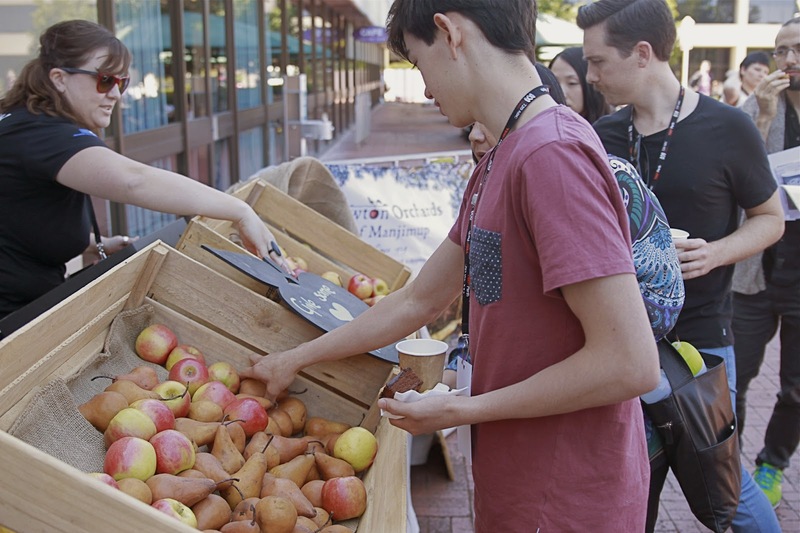 So TEDxPerth invited attendees to give a bit of love to fruit “seconds” - they don’t look perfect but they are perfectly edible and taste delicious! 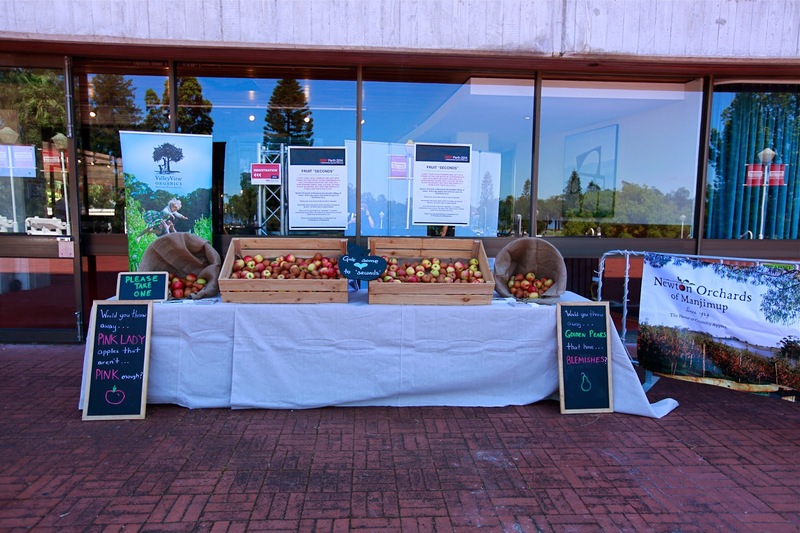 It was great to see so many people come to the fruit “seconds” station and the 180kgs of apples and pears gone by the end of the day. Can you pick out the imperfections? Many asked what was wrong with the apples and pears as they thought they looked fine and it’s crazy to think any of the fruit would have gone to waste. But when examined more closely, the Pink Lady apples were a little bruised or didn’t grow pink enough this season due to warmer weather conditions and the Goldrush pears had blemishes caused by the pears branches brushing against the ripening fruit in the wind. These fruit were grown on the same orchard and under the same conditions as all other fruit, but due to no fault of their own, their slight imperfections lead to them being considered second rate and farmers having problems selling them. Much of it is given away to foodbanks and school canteens, processed into juice or even used as compost (?! ), but a significant proportion goes to waste as there are costs attached to the deposing of fruit “seconds” and farmers just can’t afford it. It was interesting to observe people at the fruit “seconds” station naturally start to select the better looking fruit. It’s superficial to judge something by its appearance but it felt like an innate impulse which we are all guilty of. 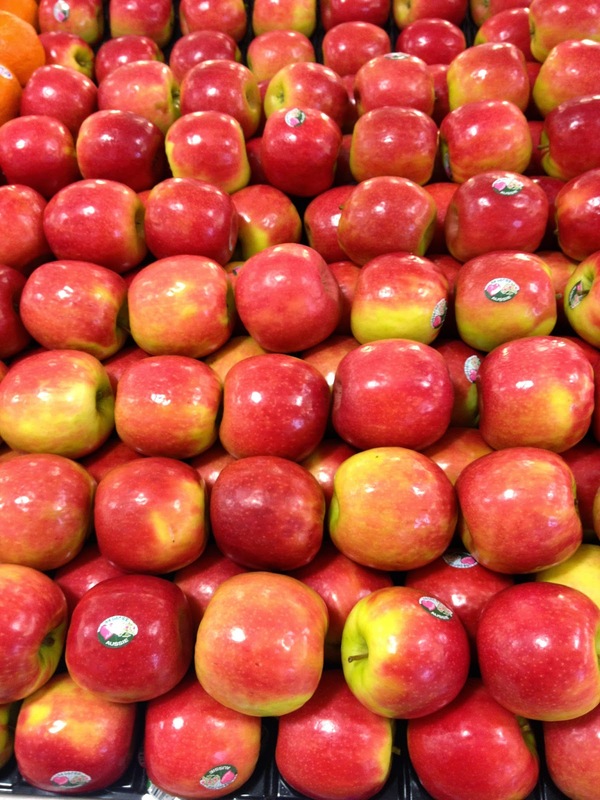 What you expect at supermarkets - row upon row of perfect apples. We also heard stories from people who had worked at supermarkets and were told how they were advised to not put fruit that looked less than perfect on the shelves. Although it is easy to hate on Coles and Woolworths, supermarkets aren't the only ones to blame. Consumers are also equally to blame. Supermarkets respond to what consumers want to buy and people are more inclined to pick out the nice looking fruit so what happens to the rest of it? As a result, supermarkets can demand that farmers supply perfect looking fruit because that’s what sells. But there have been initiatives in other places to combat and educate about food waste, for example, in France, the supermarket Intermarché stocks Inglorious Fruit and Vegetables in the produce section with a 30% discount. Harris Farm Markets in New South Wales recently started a similar campaign, selling a range of their Imperfect Picks for up to 50% cheaper than the more conventional looking fruit and vegetables. In Portugal, Isabel Soares started Fruita Feia, a cooperative that sources ugly fruit from local farmers and sells them to registered customers. Her story was presented at the recent MAD talks. 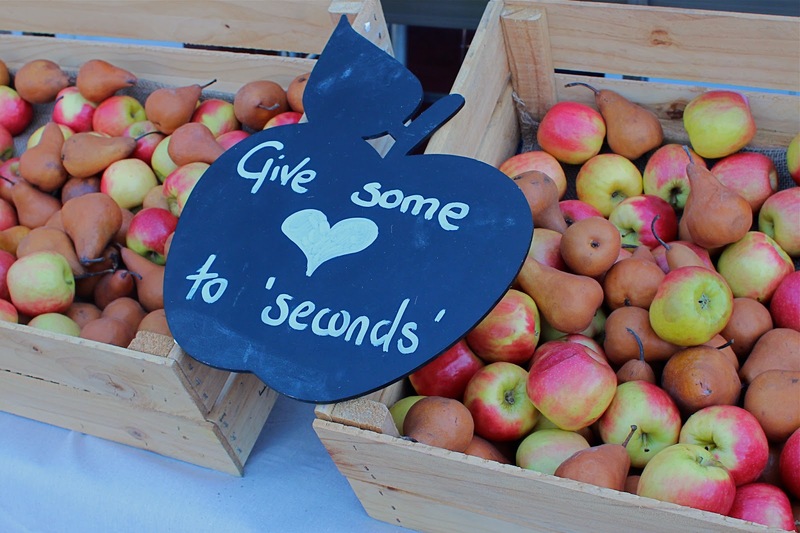 Wouldn’t it be great if supermarkets here put fruit “seconds” on their shelves as well their perfect counterparts? So consumers can be aware of the existence of fruit that comes in all shapes and sizes, imperfections and all, and have the choice of buying them if they wanted too and can enjoy fruit as nature intended. We are so often shield from the reality of our food that we undervalue it - with meat carefully portioned and packaged up so you wouldn’t know it actually came from an animal, and fruit and vegetables so pristine that kids growing up these days must think that all carrots/cucumbers are perfectly straight and apples are so shiny you can see your reflection in it! It’s not right or sustainable. People would ask us what we were going to do about fruit waste? 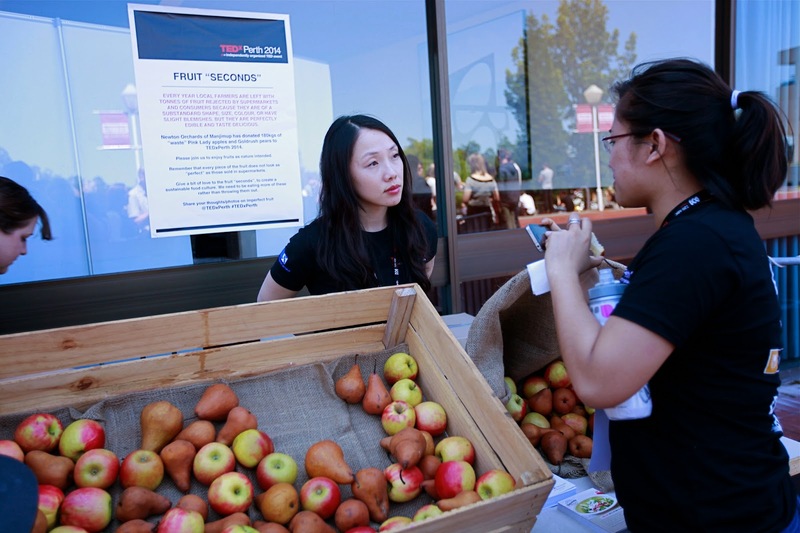 Well... TEDxPerth is a not-for-profit organisation run by volunteers and we spend months planning the TEDxPerth annual events united by the belief that sharing great ideas can challenge our views and attitudes to create change. 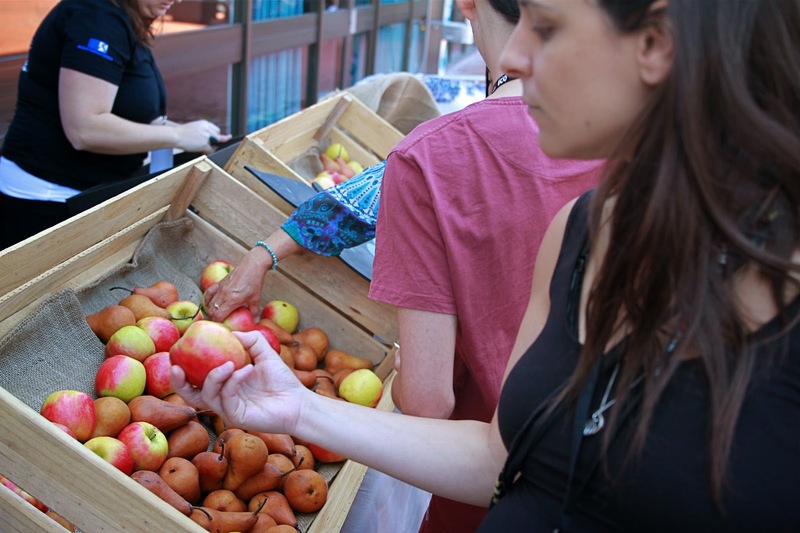 What I hope people will take away from their experience at TEDxPerth is to think about their purchasing decisions more carefully and the way they view fruit - it doesn’t all look the same, it doesn’t all look perfect (so stop picking out all the perfect ones all the time! ), and maybe our actions can drive the change in what supermarkets will stock and we can all contribute in some way to reducing food waste. It has always been, and still is, up to the consumer to put their money where their mouth is. Farmers markets are places where you can access more variations of fruit but if you are shopping at the supermarket or green grocer – ask questions! Where does their fruit come from? 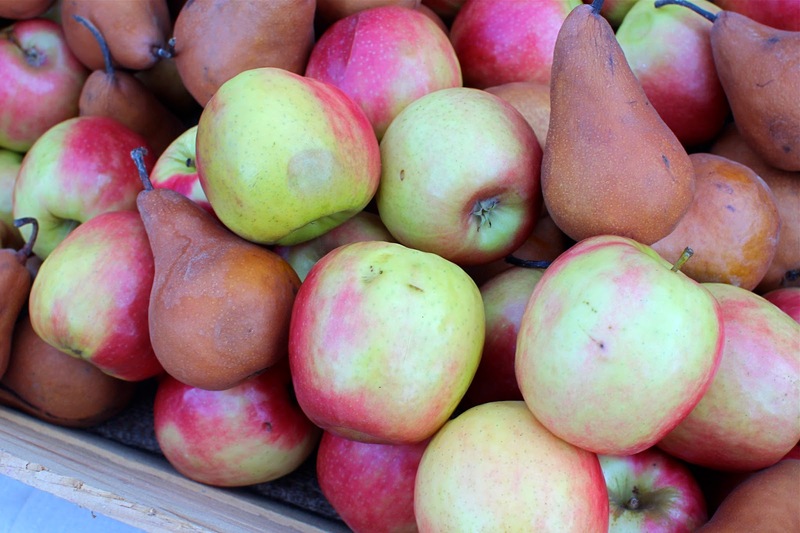 What happens to the fruit waste? Let them know you’d be happy to buy imperfect fruit! Someone said to me that I seemed really passionate about this issue and I told them it was something that has developed over time.... because when I started getting into cooking, I started to care about what goes into my body, so I like to cook from scratch to reduce the amount of processed food I eat as I only want the good stuff! When you care about the food that goes into your body, you start to build a relationship with it. You want to know more about where it comes from, what it's made of, you learn about and connect with the people who produce your food. People who work in the food industry are some of the hardest workers I know and the fruits of their labour should never go to waste. I was blown away on my trip to Carnarvon last year to hear about how much good fruit (and other produce) goes to waste just because it isnt perfect enough. No wonder poor farmers struggle.